Below you fill find all funeral homes and cemeteries in or near Gaylord. Suburbs of Gaylord: Treetops, Treetops Vil, Treetops Village. Gaylord is also known as: Otsego County / Gaylord city. Zip codes in the city: 49734, 49735. Some of the notable people born here have been: Harry W. Lange (businessperson), and Whitney Cerak (graduate student). Gaylord is a city in and the county seat of Otsego County, Michigan, United States. The population was 3,645 at the 2010 census. The city is also the seat of the Roman Catholic Diocese of Gaylord; it is by far the smallest settlement serving as the location of an active Roman Catholic cathedral in the United States.Gaylord styles itself as an "Alpine Village" and the city center features many buildings with Tyrolean traverse style motifs. Receiving abundant snowfall and experiencing mild summer temperatures, for many years the area around Gaylord has become known for its many skiing and golf resorts, one of the largest such concentrations in the Midwest. The city has a sister city: Pontresina, Switzerland. The annual event in July, Alpenfest, encourages participants to dress in traditional Swiss fashions. This event brings in numerous people from all around and provides a vast array of activities. Some of these activities include carnival rides and games, music, shops, and a local 'Queen's Pageant'. A parade takes place on the final day. It was reported by Waterloo/Cedar Falls Courier on January 6th, 2019 that Cosette Yavonne McNamee (Clemens) perished in Waterloo, Iowa. Ms. McNamee was 88 years old and was born in Gaylord, MI. Send flowers to express your sorrow and honor Cosette Yavonne's life. It was revealed on October 2nd, 2018 that Dawn Tanner (Strobl) died in Gaylord, Michigan. Ms. Tanner was 72 years old. Send flowers to express your sympathy and honor Dawn's life. It was revealed by The Daily Tribune on August 9th, 2018 that Alma Leah Davis (Bowser) died in Gaylord, Michigan. Ms. Davis was 86 years old and was born in Greenville, TN. Send flowers to express your sorrow and honor Alma Leah's life. It was reported on March 25th, 2018 that Ellen Ann Stoneley passed away in Dunedin, Florida. Stoneley was 82 years old and was born in Gaylord, MI. Send flowers to share your condolences and honor Ellen Ann's life. It was written by Kalamazoo Gazette on March 8th, 2017 that Charles L Rev "Chuck" Manker passed away in Gaylord, Michigan. Manker was 91 years old. Send flowers to express your sympathy and honor Charles L Rev "Chuck"'s life. It was reported by Kalamazoo Gazette on February 16th, 2017 that Geoffrey "Geoff" Heath passed away in Gaylord, Michigan. Heath was 70 years old. Send flowers to express your sympathy and honor Geoffrey "Geoff"'s life. It was revealed by Sarasota Herald-Tribune on January 5th, 2017 that William F "Bill" McBride passed on in Nokomis, Florida. McBride was 69 years old and was born in Gaylord, MI. Send flowers to express your sorrow and honor William F "Bill"'s life. It was disclosed by Flint Journal on November 26th, 2016 that Howard James Upcraft died in Gaylord, Michigan. Upcraft was 93 years old. Send flowers to express your sorrow and honor Howard James's life. It was disclosed by Flint Journal on October 4th, 2016 that William R Firman perished in Gaylord, Michigan. Firman was 90 years old. Send flowers to share your condolences and honor William R's life. It was noted by News Herald on September 21st, 2016 that Edward Jr Finnigan passed away in Gaylord, Michigan. Finnigan was 90 years old. Send flowers to share your condolences and honor Edward Jr's life. As of the United States 2000 Census census, the city population was 3,681. It is the county seat of Otsego County, Michigan County . 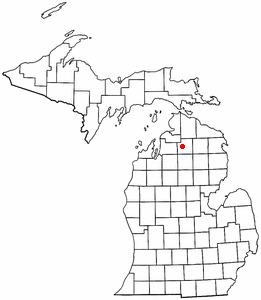 Gaylord is a city in the US state of Michigan. . . Viewing at the church will be at 10 a.m. with the funeral Mass at 11 a.m. Memorial contributions may be made to the Huntingtons Disease Society of America through the Nelson Funeral Home., P.O. Box 1548, Gaylord, MI 49734. Visitation was held on Thursday from 11 a.m. until the time of services. Contributions in memory of Dale G. Crank may be made to the American Diabetes Association through the Nelson Funeral Home, P.O. Box 1548, Gaylord, MI 49734. Listing all funeral homes in Gaylord, Michigan so you can easily send flowers to any location (same day delivery) or find any funeral service. Gaylord Funeral planning made easy! Learn how to pre-plan your funeral in Gaylord, Michigan, including step-by-step directions. Nelson, H Charles - Nelson Funeral Home Incorporated, Gaylord, MI : Reviews and maps - Yahoo! Local, 989.732.1770. Get Ratings, Reviews, Photos and more on Yahoo! Local. We work with local florists and flower shops to offer same day delivery. You will find budget sympathy flowers in Gaylord here. Our funeral flowers are cheap in price but not in value.